In order to ensure optimum quality control, ARP has grown to be exceptionally self-reliant and now controls all aspects of the manufacturing process. All operations are performed in-house and closely monitored. This is how ARP has been able to establish a reputation for “zero defects” quality throughout the industry. There are a number of important elements in the production of specialty fasteners, not the least of which are materials, design and manufacturing. As you read further into this -catalog, you will get a better idea of the extraordinary steps taken by ARP to produce the very finest products of their kind on the market today. The key to success in all areas is personnel. And here’s where ARP’s cadre of highly qualified and dedicated specialists shines brightly. In areas from hose ends to engine fasteners the terms “Aerospace Material” and “Aerospace Quality” have become buzz words implying the very best in design, materials and quality control. In racing, "aerospace" is not even close to good enough. In the ensuing years, the firm has grown from what was literally a backyard garage workshop into a highly diversified manufacturer with four operational entities in Southern California with a combined area in excess of 115,000 square feet. 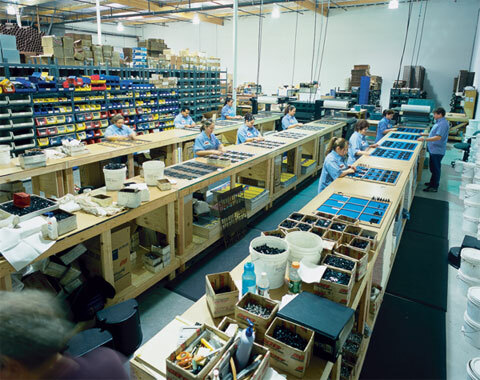 These include forging, machining, finishing and packaging/warehousing facilities in Santa Paula and Ventura, California. There is even a unique racing-themed restaurant at the main Santa Paula facility (called “Hozy’s Grill” - which is open to the public). And so it goes. ARP works closely with many, many teams as a supplier of engine and driveline fasteners, and has clearly become recognized as “the” preeminent source for serious racers. The process begins right at the mill, where ARP orders only premium grade materials including several proprietary alloys. The ever-popular 8740 chrome moly steel, for example, comes from the mill in four distinct grades. The lowest is “commercial,” which is followed by “aircraft quality.” ARP uses only the top two grades (SDF and CHQ), which cost twice as much, but provide the foundation for defect-free fasteners. 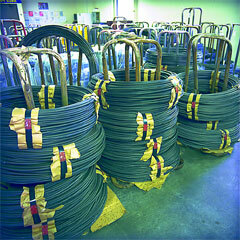 These materials come in bar stock (for studs) and huge coils (for bolts). 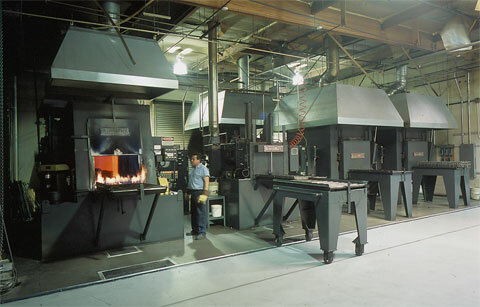 Following the basic shaping, material is heat-treated to desired levels. This crucial process is done entirely in-house to assure total quality control. ARP uses special vertical racks to hold each piece individually and assure complete 360° penetration. This is far superior to commonly-used methods of dumping items into a large bin and batch-treating. Fasteners are shot-peened after heat-treatment to remove any surface irregularities and improve overall external integrity. The Grinding Department is where all studs are centerless ground to ensure that they are perfectly concentric. As many as ten machining steps are required to achieve this level of accuracy. 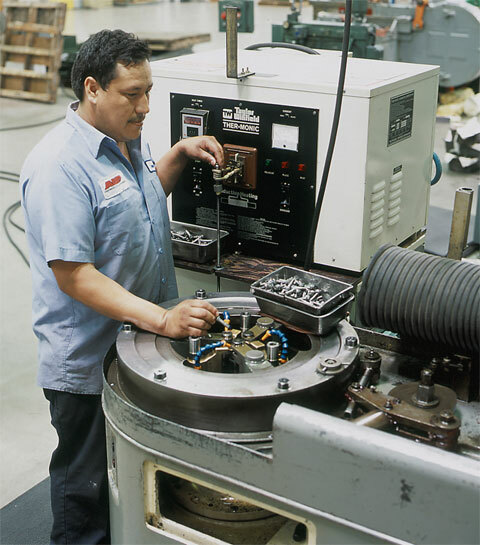 The thread rolling operation (to MIL-S-8879A specs) is done after heat-treat, which accounts for a fatigue strength up to ten times higher than fasteners which are threaded prior to heat-treat. 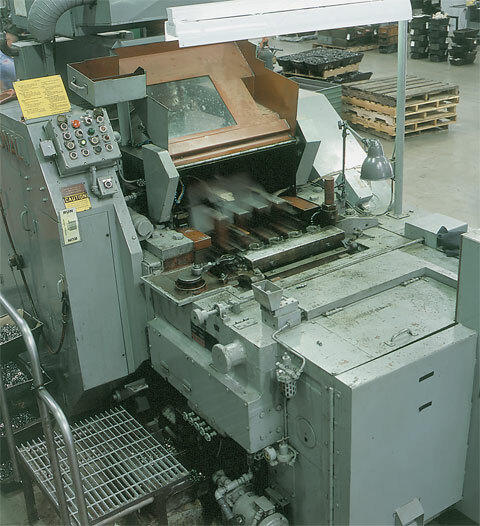 ARP manufactures nuts in a multi-step process that begins with raw material being fed into a giant forming device that “blanks” the hex and 12-point nuts and continues with highly sophisticated automated threading equipment tapping each nut with an accuracy of .001˝ (which is five times higher than the aerospace standard). This ensures an exceptionally close-tolerance fit between the bolt/stud and nut. 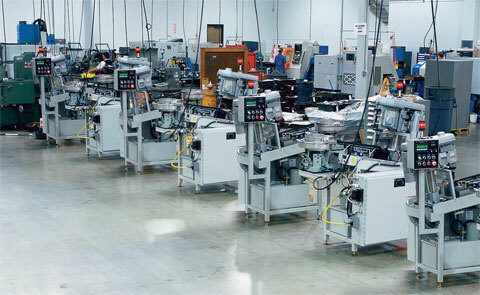 A series of CNC-threading machines are employed by ARP to accurately tap the threads in nuts. Tolerances held are 5 times better than aerospace standards. 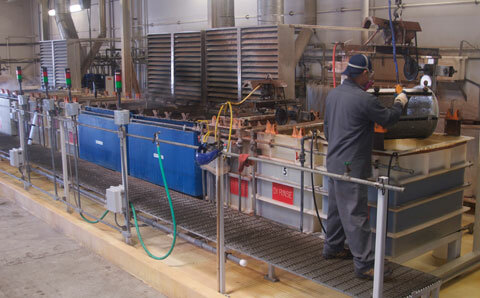 Metal finishing is also performed in-house at ARP. Operations include black oxide coating of chrome moly or polishing stainless steel to a brilliant luster. 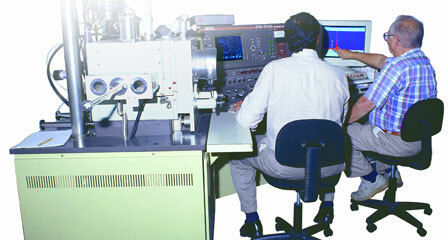 A series of special checking devices are employed to monitor the quality of threads. For every thread size, there is a checking device. Components for each kit are placed on the appropriate display cards, sealed and labeled. Boxed kits are weighed on a special scale ensure that each kit contains exactly the right pieces. Two valuable resources in the design of ARP products are Dr. Kenneth Foster and Russell Sherman, P.E. Both men have extensive backgrounds in mechanical engineering, metallurgy and stress analysis. Their academic credentials are substantial and their real world experience equally impressive. Dr. Foster has a Ph.D. in Engineering Mechanics from Cornell University and has taught at several colleges. He was formerly the head of Stress & Dynamics at Hughes Aircraft, Space Systems division. Mr. Sherman has been awarded a fellowship from A.S.M. International, and holds a number of fastener patents. Some of the most valuable work done by Foster and Sherman includes analyzing various aspects of engine, chassis and driveline structural loads, and coming up with solutions to the problems at hand. In this manner, the ARP Research Team is able to continually expand the company’s product line. ARP has added Robert Logsdon to its cadre of consultants. He comes to ARP with vast experience in the area of Metrology, Quality Control, Manufacturing, Acquisition and Configuration Management. Logsdon is a graduate of the U.S. Naval Academy of Metrology Engineering, the Defense Management College and U.S. Air Force Institute of Technology. 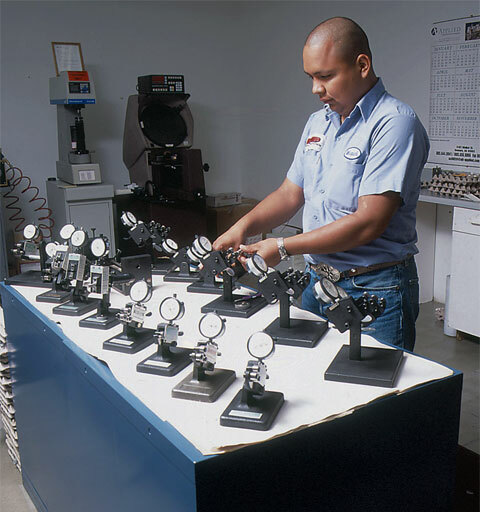 Additionally, ARP has one of the industry’s most complete in-house R&D/QC facilities and a wide variety of testing equipment. Through the combined efforts of Logsdon and ARP’s management team, the ISO 9001 Level 1 (Quality Manual), Level 2 (Quality System Procedures) and Level 3 (Work Instructions) documentation has been finalized and is being implemented. ARP is now ISO 9001 and AS9100 registered. In areas from hose ends to engine fasteners the terms “Aerospace Material” and “Aerospace Quality” have become buzz words implying the very best in design, materials and quality control. “It isn’t necessarily so”, says Gary Holzapfel, founder and CEO of Santa Paula, California based ARP, Inc. ARP (Automotive Racing Products) supplies extremely high strength and fatigue resistant threaded engine fasteners to NASCAR, CART, IRL, NHRA and Formula One engine builders and manufacturers. Carroll Smith was a legendary race engineer and a motorsports consultant with ARP for more than a decade. Many years ago, he and ARP founder, Gary Holzapfel, had a conversation about the Aerospace Myth that persists in racing. Gary Holzapfel: Yes I do. First of all, the term is meaningless. Any AMS (Aerospace Material Specification) material must be matched to the specific application. As an example, some airframe bolts (AN3-20) are legitimate “aerospace parts” and are very well suited for the low stress applications for which they were designed. But with a minimum ultimate tensile strength of 125,000 psi, and a relatively low temperature limit, they would be completely unsuitable for use in a racing engine. 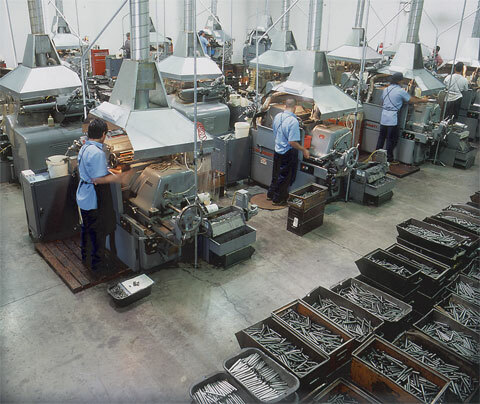 We started out in the aerospace fastener business and we understand it. That’s why we’re not in it any longer. What is not generally understood about aerospace fasteners is that the fastener manufacturers do not design the product. The nuts, bolts and studs are spec’d by the airframe or engine designers and put out for bid. As long as the supplier certifies that the product meets the minimum requirement of the specification and it passes the customer’s inspection procedures, low bid wins. GH: No, it’s a matter of manufacturing goals and simple economics. The aerospace market is price dominated. In order to get the contract, the fastener manufacturer’s goal is to meet the specification at the least cost, not to produce the best possible part. This means that they are going to use the least expensive steel and manufacturing processes that will meet the specification. There is nothing wrong with this approach. It certainly does not mean that certified aerospace fasteners are unsafe in any aspect. They will do the job for which they were designed. There is another factor. Airframe and aircraft engine manufacturers design their components to a very high margin of safety. Further, aerospace structures are designed to be “fail safe.” There is a back up or second line of defense for virtually every structural component so that an isolated failure will not lead to disaster. They are also subjected to frequent and rigorous inspections. GH: Quite a lot, really. While the demands for strength, fatigue resistance and quality control can be similar, and the assembly and inspection procedures in racing can be as rigorous as aerospace, in professional racing very few parts are over designed and there are no fail safe features. There are no back up provisions for component failure. A failed (or even loosened) nut or bolt in a racing engine means disaster - instant catastrophic failure. An expensive engine is destroyed and a race is lost. That is why random failures are unacceptable in motor racing, and why aerospace standards should be only a starting point. This means that a specialist in the production of high performance engine fasteners must design and manufacture the very best fasteners that can be produced. GH: The design process begins with the customer’s requirements the operating conditions and loads to be expected, the packaging constraints and the weight and cost targets. This allows us to select the optimum material for the part, and to do the initial mechanical design. There is more to material selection than simply choosing the best alloy. It means using only the cleanest and purest steel available, which, in turn, means researching to identify the best and most modern steel mills. It means working closely with the mills both to insure consistent quality and to develop new and better alloys. There are not only a myriad of alloys to choose from; but for each alloy there are several grades of “aircraft specification” steel wire from which fasteners can be made. We believe that only the top (and most expensive) grade – shaved-seamless, guaranteed defect-free – is suitable for racing engine applications. We also believe that samples from each batch should be subjected to complete metallurgical inspection. GH: We are currently producing fasteners from at least 6 different steel alloys from 8740 chrome moly to the very high strength chromium-cobalt-nickel alloys such as Custom Age 625+. We also use stainless steel and titanium. With UTSs (Ultimate Tensile Strength) from 180,000 to 270,000 psi, we can suit the material to the job and the customer’s cost restraints. We are continually researching and experimenting with new alloys and manufacturing processes – some with all around better strength and fatigue properties. GH: Next comes the actual process of manufacturing. 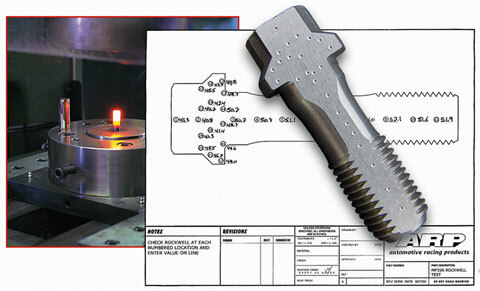 It goes without saying that all high strength bolts must have rolled rather than cut threads, and that the threads must be rolled after heat-treatment. But there is more to it. The old saying to the effect of, “If you are doing something in a particular way because that’s the way it has always been done, the chances are that you are doing it wrong,” holds true in fastener technology. Technology advances, and we have to advance with it. All of the manufacturing processes should be subject to continuous experimentation and development. As an example, with some alloys, cold heading produces a better product than hot heading, and vice versa. The number and force of the blows of the cold heading machine can make a significant difference in the quality of the end product. Excessive numbers of blows can lead to voids in the bolt head. ARP, in fact, holds significant patents on cold heading procedures for the higher nickel and cobalt based alloys. In a typical aerospace manufacturing process, these alloys are hot headed from bars, reduced in diameter from 48 to 50% by cold drawing, resulting in a hardness of about Rockwell C46 which is too hard for cold heading. So, the blanks are locally induction heated in a very narrow temperature envelope and hot headed. If care is not taken the process can reduce the hardness of the bolt head and the area immediately under it as much as 3 to 5 points on the Rockwell C scale. Subsequent heat-treatment does not restore this partially annealed area to full hardness and strength. Therefore, the final result can be a relatively soft headed bolt. This process is not preferred by ARP. The same is true of thread rolling. Temperature and die speed must be controlled and changed for different alloys. Many bolt manufacturers who meet the Aerospace Specifications don’t come close to meeting our standards. We consistently go beyond -standard aerospace specs. Our concern with the manufacturing processes extends to the details of heat-treating, shot-peening, fillet rolling and grinding – down to the frequency of dressing the grinding wheels. In the arena where aerospace standards are a starting point and random failures are unacceptable, I feel ARP stands alone as a primary engineering and manufacturing source for specialty and custom fasteners for use in motorsports. It is important to realize that simply quoting an AMS (Aerospace Material Specification) number without strength and percentage of elongation numbers is meaningless. Statements that the use of a particular material will, in itself, result in extreme strength and resistance to fatigue can be misleading. In the world of high strength alloys, whether they are used for bolts or for landing gears, the manufacturing processes are at least as important as the material specification. GH: For each new design, we produce a number of prototype parts using different design aspects and sometimes different methods. GH: Yes. While the ultimate tensile strength testing is the same, fatigue testing is different. Aerospace fasteners are fatigue tested to the relevant specification of fluctuating tension load and -number of cycles typically 130,000 cycles with the high tension load at 50% of the UTS and the low load at 10% of the high load. If all of the test samples last 85,000 cycles (per AMS 5842-D), the lot is accepted. Even though racing fasteners are not continuously subjected to their maximum design load, at 18,000 rpm, 100,000 cycles takes just 5 minutes, thirty-four seconds. Except for drag racing, measured in seconds, no race lasts just 5 minutes. Therefore we consider this Aerospace Standard to be inadequate. At ARP, we fatigue test to elevated loads (10% above aerospace requirements) and to a minimum cycle life that exceeds 350,000 cycles. 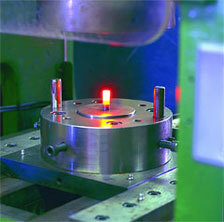 The majority of samples are routinely tested to one million cycles. During material development...and in the case of extremely critical new designs, we test to destruction. Thread rolling is the last mechanical operation in our manufacturing process. 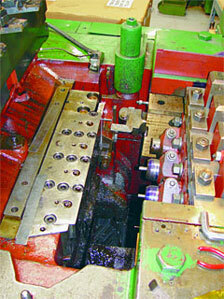 For each production run the thread rolling machine is shut down after a few parts. These parts are inspected for dimensional accuracy and thread quality, and are physically tested for both strength and fatigue before the run is continued. Random samples are inspected and tested throughout the run. Extremely critical components are individually inspected for dimensional integrity. GH: Economics often dictate that many processes in the manufacture of aerospace fasteners are out sourced or farmed out. 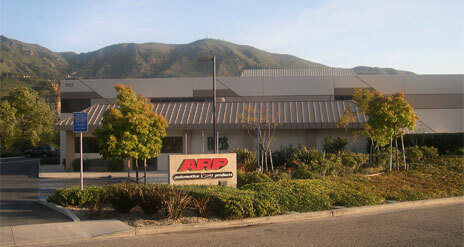 In fact, 30 plus years ago, ARP began as an out source thread rolling shop. Over the years, however, we have found, through experience, that the only way to maintain the quality we require is to keep everything in-house. 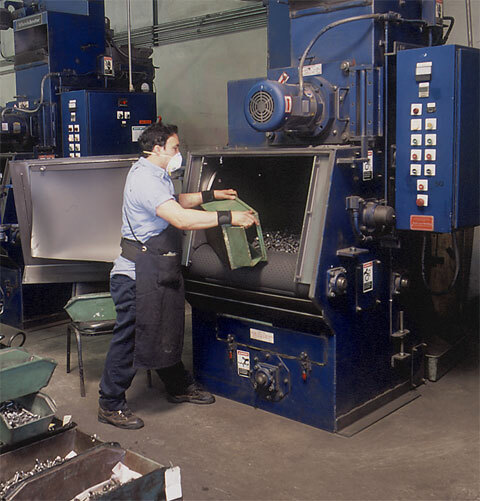 From heading through machining, grinding, heat-treat, thread rolling, and shot-peening to black oxide treatment we perform every operation in house on our own equipment with our own employees. GH: True, but the bottom line is that we have to look at the cost aspect of the very best fastener versus the cost aspect of a blown engine and a lost race. In the end, the manufacturing of fasteners for racing comes down to a matter of attitude; a refusal to accept published standards and procedures as the best that can be done and most of all a determination to learn and to make still better products. Some of the fasteners that we manufacture at ARP will mean the difference between winning and losing. The dilemma is that no one ever knows which fasteners will be put in that position. Therefore, the only way to ensure that every fastener we make meets our quality standards is to peform every operation in-house. There are many steps in the manufacturing process and every step is critical. A misstep can lead to bolt failure. That's why ARP continually invests in best equipment, technology and personnel. But you can be guaranteed every step happens under ARP's roof in the hands of an ARP employee! There are many steps in the manufacturing process and every step is critical. A misstep can lead to stud failure. That's why ARP continually invests in best equipment, technology and personnel. The steps listed below are some of the steps that a given stud goes through before "ARP" is stamped on the end – your assurance that it has met ARPs rigorous quality standards. Every stud has a different manufacturing specification, so not every stud goes through each of these steps.